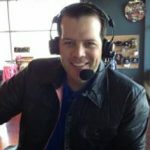 I had the pleasure of getting The Players Championship assignment again this year and wanted to share some things from my experience from TPC Sawgrass and the deepest field in golf. — Wednesday featured a production luncheon for the TV/Radio teams with PGA Tour Commissioner Jay Monahan. It was great to get an update from the Commissioner, and hear from Golf Channel Executive Producer Molly Solomon on the advancements in the broadcast. I’m not going to run down the list of attendees, but it was a who’s who of golf broadcasters (there were 5 Major Champions in the buffet line). — Speaking of Major champions…. I shared a funny moment with Masters Champion Patrick Reed on Friday during the second round. On the par five 9th hole, he ran into trouble. His tee shot found water off the tee, and his third was tugged to the left into a bunker surrounded by trees. Reed had no choice but to hit a low runner out of the bunker, which raced off the green and into the gallery. The precise location was in the chair of spectator. I walked around the green to get a better look, and Reed pointed out that it was against the fan’s hip. I laughed and gave Reed a big smile, and his response was great. “Sure, laugh, but it’s my 5th!”, Reed said with a smile. Jon Rahm then walked over and said “Hey, play it as it lies. Happy Gilmore!”. It was a light moment, but unfortunately, Reed made double- bogey on the hole. — Webb Simpson was incredible winning by 4 strokes. The putting performance he displayed was remarkable on Friday. Everything was going in for him, and that’s what usually needs to happen to win a golf tournament, especially one like The Players. — As good as Simpson was, there is nothing like have Tiger Woods in contention on a Sunday! I was following Dustin Johnson and Jason Dufner (made some long putts and missed some shorties), who were 2 groups behind Tiger Woods and Jordan Spieth. The Gallery was huge and the roars were enormous during his birdies on 11 and 12. The moan when he rinsed it on 17 was equally as audible, and shocking. 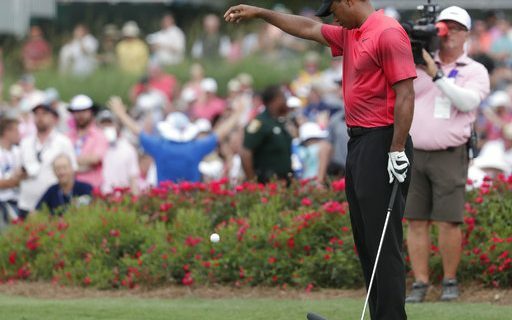 But the fact that the legend is not immune to trouble on the most famous par 3 in golf makes the hole even better. —The 17th hole is the greatest par 3 in golf. I have not played it, but stood on the tee box each day staring down the hole and imagining how I would play the shot. Of course, I would never play it with a stadium of fans watching. It’s an incredible setting, picturing hitting a shot inside New Era Field in front of a sell out! Disasters happen, and I had the situation of calling one on Sunday when Kiradech Aphibarnrat was threatening the course record. He was -8 on the round (record is -9) when he teed it up on the 17th. He took dead aim at the dangerous back right hole location, and came up short in the water. Rather than head to the drop zone, he elected to re-tee with a different club. He came up shorter with the second attempt (his 3rd shot). Aphibarnrat immediately asked his caddie for another ball, and the fans gave him a huge ovation. I proclaimed on the PGA Tour Radio call ‘He’s Tin Cupping it!’. His third attempt landed in the middle of green, and he two putted for a 7. The quadruple bogey ruined his final score, but in my mind, did not ruin a great performance on one of golf’s toughest tests. — A lot of people were giving Phil Mickelson grief about the new long-sleeve, high-collar business type looking shirt he wore in the first two rounds of The Players. The media poked a lot of fun, but I know everyone of us would wear one as a freebie. — The Players is widely referred to as the 5th Major, and you’ll get no argument here. It features the deepest field in golf, the top 144 professionals on a demanding golf course. It is worth the trip for both the golfers and the fans. The course is a star. Next year the tournament moves to March, St. Patrick’s Day weekend. Plan your getaway now!